If you follow our #ApartmentMakeoverProject, you might ask yourself why the hell are they doing this? The answer is simple: because it is our dream that we put into practice. But why such a tiny apartment and how did the whole thing start? If you are looking for answers, read on. Ines and I we always had the dream to live by a well-tempered sea so that we can jump in for a bath whenever we want. As we also love good food, great wine and constant good weather, the South of France was a kind of obvious choice for us. After wandering around quite a bit, we finally fell in love with the seaside resort Argelès-sur-Mer for its beaches, mountains nearby and everything else that makes a place enjoyable. So, we looked for an apartment in the area and last July, we found what we were looking for, 500 m from the long sandy beach, and started buying (which by the way in France takes a minimum of 3 months). The challenge is that it is a rather tiny 36 sqm (390 sq. ft) apartment for 2 people who also run a business from home. And it was formerly rented out as a holiday apartment to accommodate 6 !!! people. So, it will need quite some planning, reorganising and rebuilding to make it our dream home. We set up a project plan with the goal to move in mid-December, so that we can celebrate Christmas and New Year at the Mediterranean seaside. You can follow all this in our #ApartmentMakeoverProject series. All this raises some questions, for example why such a small apartment and how did all this start? As many other exciting paths of life also this one started with a book. It was many years ago and it did not start back home in Germany, but in Singapore. Ines and I were waiting for our flight back to Germany and I was wandering around with some 40 Singapore dollars in my pocket looking for something to buy. I was first attracted by a huge pile of Toblerone® chocolate but could not make up my mind. Finally, I stumbled into a bookshop and one book on the bestsellers list immediately caught my attention. It was the now famous “The 4-Hour Workweek” by Timothy Ferriss. I read the complete book on the flight back to Germany and caught fire. And so did Ines. We started asking very interesting questions about our life, how it was and how we wanted it to be. Would we want to continue working in our 9 to 5 job (which was more like 8 to 6) or do the leap of faith and launch our own company? Would we want to live in Germany or rather somewhere else? What would happen if we applied the Pareto principle (80/20 rule for those who have not yet heard the name) not only in our day to day work, but also to our, still to be launched business and to all other aspects of our life, like our possessions or our apartment? If you would have free choice, where would you live? Some people might say ‘where I am’, but we immediately said: South of France. So, we drew a plan on how to get there. We knew we needed to become location independent and work on our own terms, because the South of France is a great place to live, but for the most of it not exactly what you would call a bustling business area. Perhaps that’s the reason why it is a great place to live. 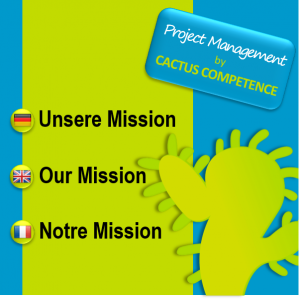 That’s why, we started our own business Cactus Competence offering services around project management and started with interim project management to make ends meet. The Mediterranean coast of France is over 600 km long and varies a lot between the bustling French Riviera around Monaco and Nice to the Bouches du Rhone with its Megacity Marseille to the calm Languedoc Roussilon part near the Spanish border where we finally ended up (after trying all of them ). How can we afford moving down south asap? In his book, Timothy Ferriss tells the story of the old fat man in his BMW cabriolet. This stands for somebody who waited so long before he did what he wanted to do, so that it is no longer cool but rather exhausting, looks foolish and is not fun. Also, even if we would like to think so, life is not endless. You should not take it as a given that you can spend another 5 years before you move to your dream place. Life can be over much faster, as we think. So, as we heavily relayed on our monthly income to run our lifestyle, the question became: How to reduce our monthly expenses and how to reduce significantly in apartment size to reduce rent and housing expenses? AND, all this without being parsimonious and still have fun living. Or to put it this way, which are the 20% of our spending which accounts for 80% of the pleasure in our life? We found we wore less than 20% of your cloths regularly. So why buy the other 80%? We found we used less than 20% of all household equipment. So, we could throw away the other 80% or not buy them in the first place. And that’s what we did in this area, and in many others too. Whenever you think of buying something, write down what you will do with this thing within a week of your purchase. If you cannot come up with something, don’t buy, at least not now. What size of apartment do we really need? If you only have 20% of the stuff left, then logically you should be able to reduce the size of your apartment to 20%. In our case, the starting point was 125 sqm (1345 sq. ft). So, if we would follow the maths we should be able to live in 25 sqm (269 sq. ft). Well, that one was a little trickier, so we went in slices, from 125 sqm to 60 and now to 36. Perhaps it would have been possible to further reduce, but then things get really difficult and we would have to spend much more money on space saving equipment than we save on the price of the apartment. After watching several videos about tiny houses, we also found that we want some extra comfort and not have to fold away tables to be able to go to bed and we don’t like to sleep in the kitchen either . 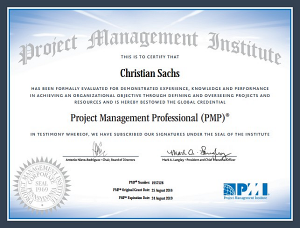 This module is designed for entrepreneurs who would like to make sure that they have solid foundations for their project. As Ines and me are both project managers, we set up a project plan. What else ? It included when we would launch our company, when we would quit our jobs, when we would move, etc. Did everything go according to plan? No, not at all. And that’s OK. Many people miss an important thing when they tell me they don’t need to plan because things change so fast that the plan would be obsolete tomorrow. So why plan? Very simple, because the goal is not obsolete tomorrow, at least I hope so for you. 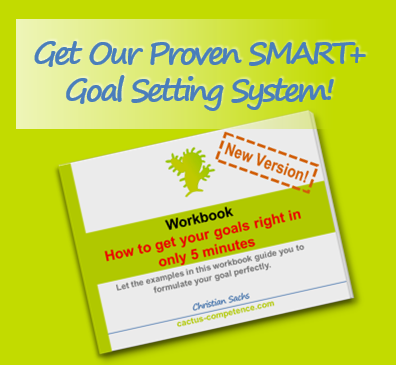 The error many people make is that they confound a project plan with a printed book. In mapping out a project plan, at least in our system, you have your big far away goal and you imagine the big steps on how to get there. But for the details, you only plan as far as you can see. The rest is more like a scientific experiment. You execute on your plan, you check the results, evaluate what is like expected and what isn’t, and you do your planning for the next steps from there. 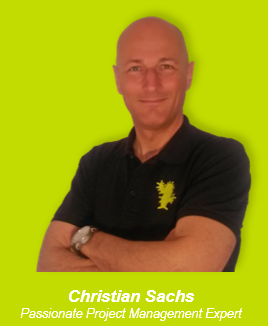 Our plan included launching a company and moving to southern France. 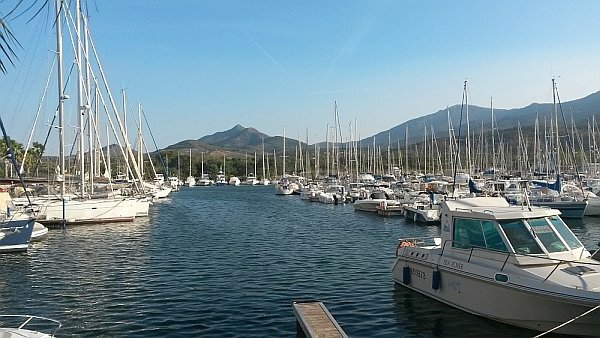 We decided, that we would like to live in the charming harbour town of La Ciotat, as it was well connected to the railway and Marseille, and its Airport was only an hour away, so that we could acquire local and international business. We underestimated the time it would take us to establish the business and the cost related to this and overestimated the usefulness of an airport who in fact was rather 2 hours away with the traffic in Marseille. Now, having done our evaluation, did we say, this doesn’t work, we must give up our dream goal? No, we didn’t. Yes, we had to go back to Germany and quit the French Riviera for some contract work, but we mapped out the next steps of our plan and looked further South, where it’s cheaper and found an apartment for half the price near Narbonne. Once again, we tested our assumptions, identified the gaps and planned for the next steps. Which is what led us to our small seaside apartment. Finally arrived and what’s next? And there we are, moving to our own apartment in a seaside resort. Will this be the last step? I don’t know, we still want to get the online part of our business running, so that we can enjoy living at the beach all year long. Perhaps we will find that some of our assumptions are still wrong and something is not working as imagined. Well then, we’ll adjust, and we’ll keep you in the loop. Promised. What about you? Are you going after your dreams? I would love to hear about you. Are you going after your dreams? Do you have a plan or are you still dreaming of doing it one day? If you have any question, please do not hesitate and post them in the comments or in the social media. Do not forget to tag us, so that we see it and we will answer every question. Promised. 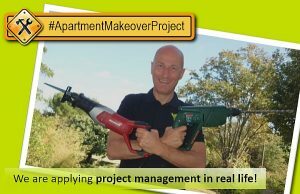 Why don’t you subscribe to our Facebook page and our YouTube channel so that you do not miss one single episode of this #ApartmentMakeoverProject? It’s gonna be fun! Now, subscribe to our Newsletter and have fun with your projects!